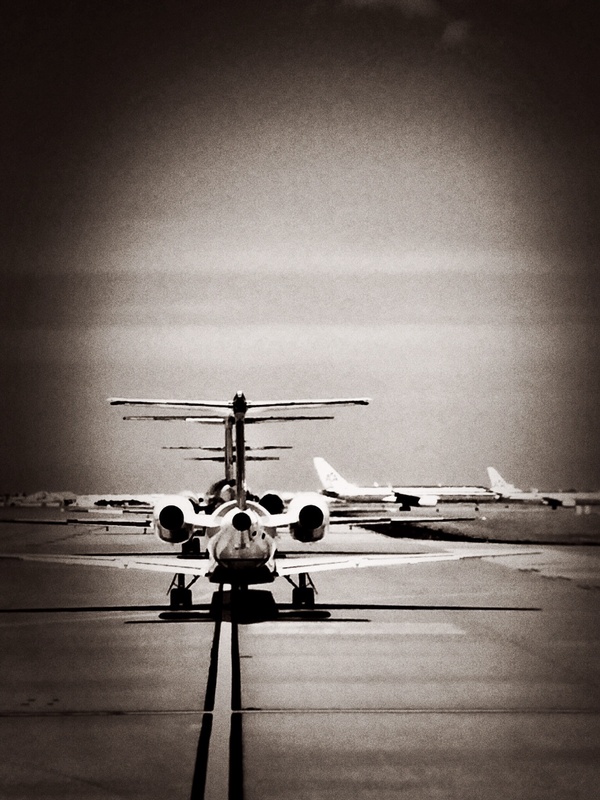 Pilot Incognito: The Trouble With Air Travel. Let me confess: though I fly at least 90 hours a month as an airline pilot, I personally hate air travel. The delays, bad weather, crowding, security, expense, cattle-herding through packed terminals, the security gauntlet, baggage claim–I hate all of it. Give me a road trip, a map, hotel reservations, a route and I love to travel, driving. Hang airline reservations over my head and I go as to the gallows. But this past holiday weekend, I did exactly that: I bought tickets for my family and me, and we faced the ordeal together. Sure, we can travel free–but not if we have a tight schedule and an event to attend, especially on a federal holiday weekend like Memorial Day. I thought to myself, as I went through the steps as an air traveler to find a decent fare, buy a ticket, and travel, let’s see what this is like from the passenger standpoint. Year round, I hear the griping about airline service, fees, late flights, rude passenger service. I decided I’d get the full experience from start to finish, then decide for myself if the urban legend of horrible air travel was true. Reservations? On line, complicated, tedious and annoying. There were too many ways to screw up, which I did: whoops–this particular flight goes to Baltimore, not Washington Reagan. All airlines consider Baltimore, Washington-Reagan and Dulles to be “Washington DC” for their flight purposes–but not mine. They dump them all together online, sorting by “value,” which is to say, “here’s what we usually can’t sell, so it’s a little cheaper.” From a consumer standpoint, the value of “cheaper” versus “where I need to go” is bass-ackwards, priority-wise. But online reservations are their ball game, so they make the rules. A long, frustrating sorting process–mostly wading through stuff they want me to buy–culminated in the painstaking process of names and addresses for all three of us. I’d had to change some details once it became apparent what we actually needed–the punishment for that is retyping all the data for the three of us each time. Fees? Yes, but there’s nothing sneaky about it: want to board ahead of others? Pay for it. Want more legroom? There’s a charge. Check bags? Pay. So? That seems fair to me–we’ll board with our group. We’ll use the seats I chose. We’ll check one bag, and pay for it. That’s business. I have no problem with that but then maybe I don’t perceive these extras as my birthright. At the airport, as a pilot I could have entered the terminal through a couple of different authorized access points. But, I was traveling with my family–we stay together. The security screening was adequately manned so traffic flowed smoothly, with an ironic twist: we were in a very short, fast-moving general screening line, while the TSA Pre-Check line was three times as long and moving slowly due to the need for more elaborate document checks. The TSA people did their job efficiently, with only a minimum of the cattle-call feel. But the annoyance wasn’t the TSA staff, but rather many other air travelers who were distracted, inefficient, and rude, shoving ahead of each other, not following basic instructions. I could imagine the complaints from many of those passengers who were actually the problem themselves, rather than the screening process. Another irony. Once on the secure side, we prepared for the reality of air travel: we bought a bottle of water for each of us, plus a sandwich each. There’s really no food to be had on the flight, largely because over the years passengers have demonstrated loud and clear that they don’t want to pay for food. Fine–we paid at a concession stand for food instead, then brought it aboard. Those who didn’t went hungry (and thirsty) in flight. That will get chalked up to poor service in some customer feedback, but the situation is exactly as consumer demand dictates. Again, the line between the cause of the complaint and the complainers becomes blurred. Since I paid to check the one large bag we brought on the trip, we had only hand carried items: a garment bag, which I hung in the forward closet as we boarded, and a mini-sized roll-aboard. We were near the back of the plane, but still, storage space wasn’t a problem even though every seat on the flight was full. Again, either you pay to check a bag, or pay to board early to get overhead space–or you don’t. The airline product now is cafeteria style: pay for what you want only. Those who expect dessert included with their appetizer will be disappointed. I could see as we boarded that the crew was tired. We were scheduled to land at midnight and they’d obviously already had a long day. I approached them this way: they’re at work, they’re tired–leave them alone and get seated. Those passengers who presume that their basic airfare has somehow bought them a piece of somebody’s workday are flat out wrong. My wife, a veteran flight attendant, always hated it when passengers boarded and ordered her, “smile,” as if she were a character at Disney. I roll my I eyes when I’m squeezing past passengers on the jet bridge, returning to the cockpit, when there’s the inevitable “We’ll let you by” as if we’re all just “funnin'” rather than me trying to accomplish a complex job to get us airborne. Ditto the cabin crew. Leave them alone. Most of the boarding hassles are, simply, passenger induced: the inevitable bashing of bags against people as passengers shove their way in. Backpacks are the worst, with passengers whirling around, smacking someone else with their wide load. Others dumbly push bags designed to be pulled, drag bags designed to be rolled, a struggle with too-wide, over-stuffed bags because by God, THEY’RE not paying to check anything. Once airborne, we each had what we needed: water and food. So, when the service cart reached us, the beverage was a bonus. 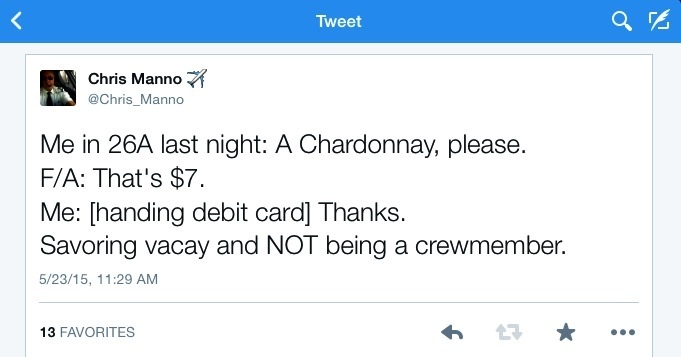 Yes, I could have shown my crew ID to get maybe a free drink, but it’s not worth: I’m not working, I’m glad I’m not working, and to keep the precious bubble of anonymity and “not at work” ambience, I paid $7 for a drink. Well worth the price. Arrival was on time and the last hurdle was deplaning, a simple reality made into an ordeal, once again, by some passengers: even though the forward door wasn’t open, there’s a mad rush to bolt out of coach seats and start slinging hand-carried bags like missiles. There’s a repeat of the boarding bashing of other passengers with backpacks and heavy bags. There are those in rows behind you that won’t wait, but feel they must push past you. Bags not designed to be pushed, pushed; bags designed to be rolled, dragged. Basically, most of the hassles of being a passenger are caused by, or certainly compounded by, other passengers. The tableau of air travel is the reverse of the classic “ascent of man” drawings, with travelers becoming stooped with fatigue, unmet needs (don’t pay for food/water on the plane–BRING IT), too heavy bags (CHECK IT–you have $500 for your headphones, audio equipment and iPad; invest $25 in your own convenience). Air travel is the descent of man–so many unthinking, illogical, uninformed (what’s your flight number? Boarding time? ), helpless (“Where’s the bathroom?”) and rude (gotta shove ahead through security, during boarding, and deplaning) people spoiling things for everyone–including themselves. The return trip was much the same. I have to say, my usual reluctance to travel by air proved to be an overreaction: nothing turned out to be urban-legend awful, from security to boarding to baggage claim. People just like to gripe and I have the feeling that the loudest gripers are among those who, as noted above, cause and compound the very problems they complain about. Regardless, we got where we needed to be, on time, efficiently, as promised. That’s a positive experience, in my opinion. I’m back in cockpit again, storing that lesson away: air travel urban legend, along with those who rant the loudest, both have very little credibility. Take your seats, let the crew do their job, and we’ll be under way shortly. Given my choice, I prefer to drive, but flying is nonetheless an efficient, fairly-priced indulgence. If only that could be a more common realization. 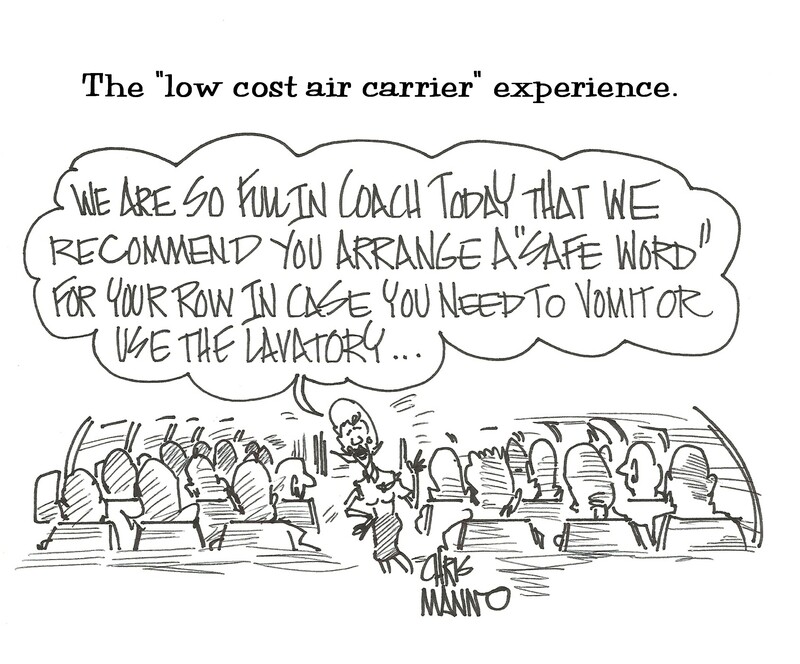 This entry was posted on May 27, 2015 at 1:25 pm and is filed under air travel, air travel humor, airline, airline cartoon, airline cartoon book, airline delays, airline industry, airline passenger, airline pilot, airline pilot blog, airline ticket prices, airliner, airlines, baggage fees, flight attendant, flight crew, passenger with tags a day in the life of an airline pilot, air travel, airline captain, airline pilot blog, airline reservations, airport security, flight attendant, jethead blog, passengers, travel. You can follow any responses to this entry through the RSS 2.0 feed. You can leave a response, or trackback from your own site. This post is a good refresher for someone like myself, who hasn’t flown in 10 years. A reminder of what to expect and how things work. Air travel would be so much more pleasant if everybody would follow basic rules of common sense. I travel a lot as SLF and I adopted the policy to take it easy. Let the idiots who think they are sooo important that their minutes cost 10 times more than mine ruin their nerves. We’ll see each other at the baggage claim or at the taxi ranks anyway. But then take a look at the average idiot on the street and realize that half of them are actually dumber then him. And I have “Idiocracy” on my tablet. Whenever I feel the urge to complain about idiots, I just relax and watch a few scenes. Makes me reconsider my actions, relax and realize that you just can’t win. Thank you for this. It dovetails nicely with my knee-jerk responses to unfounded condemnations of airlines with regard to pricing models, delays, or what have you. Back when I worked in OR for Insert Carrier Here, margins were razor-thin and averaged across the network about a couple hundred bucks per flight. Basic arithmetic doesn’t let you eat much into that and keep the lights on. If the flying public wants cheap fares and rubber correctly planted on tarmac after each trip, they must pay a fair price and accept that air travel is a challenging endeavor. It still amazes me each and every time I fly how cost-effective and smooth it all runs. But safely hurtling through the sky at nearly 500 knots with a gin-and-tonic in hand—astonishingly—isn’t enough to impress a great many whiners. I’d have to say 50% of the problems are other passengers. Always remember a great column the late Len Morgan had in Flying Magazine on the decline of civility in airliners. He wrote of a time when people dressed up to go flying. Much of the reason of why are are at the place we are is that people understandably want to pay as little as possible and the airlines, with their fixed and substantial costs, have to be innovative. It is the market responding. I think my pet peeve is always at the end when half the passengers stand up and just sit in the aisle way – slinging carry ons as you say – waiting for 10-15 minutes to exit. I generally just sit and wait for he aisle to clear. I do too, especially when deadheading: let folks get to their connections. But the goofballs who bolt into the aisle, grid locking everything for no reason, and those in rows behind you who just shove past–it’s as you said, the death of civility, and common sense. I don’t think you should make the assumption that this one trip–never mind 30 years as an airline pilot–is the sole basis of my experience. I’ve been in and out of airline cabins as crew, on vaycay, all over the world. And I’m kind of over what UAL did back in the 80s and 90s now too. I believe the LCCs fielded a new team that wasn’t beat down by years on the front lines of air travel and that went well for a brief time. Then the employees got beat up like everyone else, at even lower pay. A) – NEVER ever use a debit card for anything – you should not even HAVE a debit card – why? your debit info is stolen – whose money is stolen first? Yours? Or the bank? Ever tried to prove things did not happen that did? what happens if they steal all your money and your mortgage payment check bounces – its not about the fact the bank will refund your money in a few days – but dealing with the immediate consequences. B) – you could have an impact in the evolution of how flight attendants treat customers by providing this incognito review – but the reality is they are not going to listen to you anyway. A HUGE amount of lip service is paid at the corporate level to service – and no resources are provided to do it. C) Airlines are their own worst enemy. most gate agents and flight attendants from the US/AA merger are woefully rude and inattentive – FA’s get paid to work – not stand behind curtains and gossip. Your score is perfect: wrong on all three counts. I just approved your comment because you’re a perfect example of the “descent of man” and the death of civility that is the crux of the air travel problems. I could fly on a pass, but I don’t. Frequent flyer miles from a credit card or just plain cash are worth the confirmed seat on the aisle. I used to cringe (yet still buy) at the upgraded seat; then I realized I don’t hesitate to pay $60 for an hour massage, so why hesitate at having a comfortable seat for 2+ hours (I’m tall and it is all in my legs). I agree with you. The primary problem with air travel now is the PASSENGERS. Not all, but only a few can ruin your experience. Crews are usually fine, never had a TSA issue (one’s attitude goes a long way in affecting how they treat you), and I bring my food. I do think that the baggage fees are backwards. We should pay for carryons, not checked bags. We’d leave the gate sooner, fewer people getting beaned, and less reason to crowd on or off (you’ve got to wait for the bags to get to the claim area, so why hurry?). I agree–simplify, bring what you need, have realistic expectations, pay for what you want and need. I see so many passengers with hugely expensive entertainment devices, then they quibble about a $9 sandwich. Craziness. I fly SWA at every opportunity because there is no fee for two checked bags. On the route I normally fly, I can either ride a SWA 737 with somewhat comfy seats or I can be shoehorned into a RJ on DL or UA. 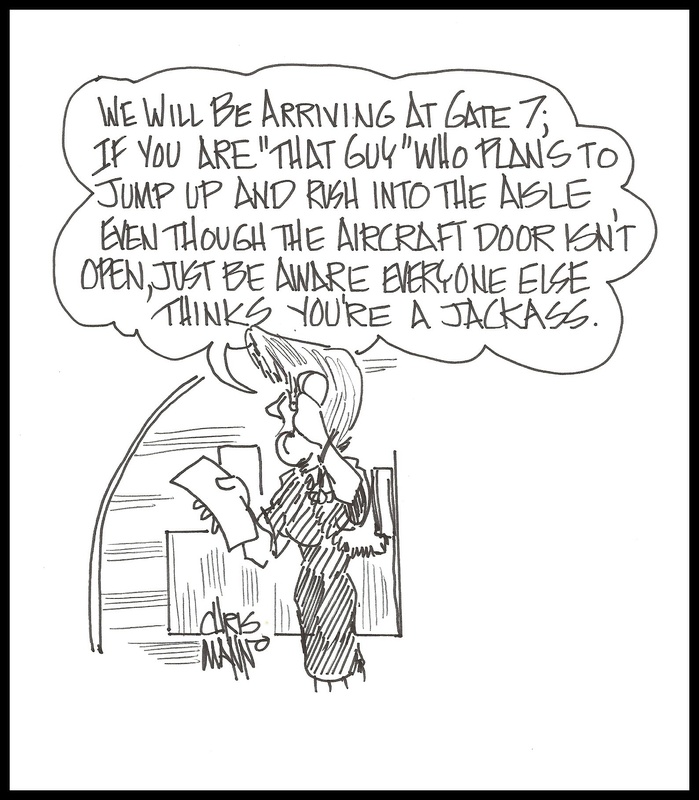 And it has seemed that while cranky SWA personnel do exist, they are the exception. On UA, at least on the commuters, not so much. Airlines seem to be evolving on converging tracks, becoming so similar that, as my friend R. Sohn reminds me, you almost need names to tell them apart. So at some point, I’d expect SWA will be unable to walk away from the cash that they forgo now in fees. But we’ll see. They’re a great airline and a success story in an industry that’s cutthroat and ruthless. Yes, “That’s why they give airlines names, so’s you can tell’em apart – cuz they’re all alike” was the quote and it came from NWA’s Paul Soderlind to me one day when I’d asked him some technical question. Anyways, you made me recall, sitting underneath a “BAGGAGE CLAIM” sign in some terminal’s concourse wearing my “commuter costume” (you know, blue sport coat, light blue uniform shirt, tan pants and a tie) . Guy comes up and asks me “where’s the baggage claim?” I stood up, turned my head to look at the sign over my head and I sez “well, the sign says right here!”. Head shakin’ mode! Exactly! Just recently, standing in front of letters bigger than my head screaming “BOSTON,” I’ve been asked, “Is this the flight to Boston?” I catch myself doing a double-take: is this a trick question? It also seems like you didn’t have multiple legs for your trip. 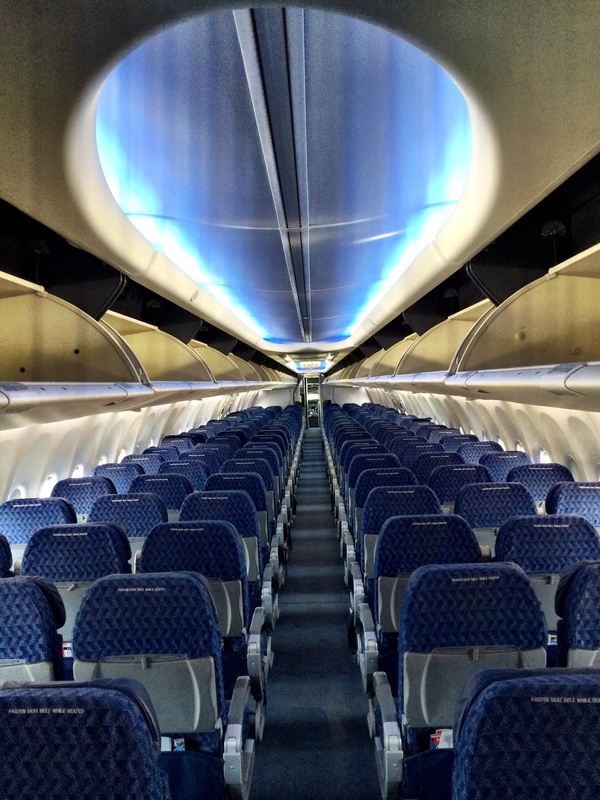 Try being on a late arriving (for the connection) flight, finding the overhead space full, boarding disruptive, the extras you paid for not working out etc. Human nature is then to be defensive in future travel, expect for and prepare for the worst. Doing that when things are going well does have a negative effect, but you don’t know if this time will really be different. I think the fundamental problem is yield management, which means everyone gets to pay different prices for what is essentially the same product. That is very rare in normal everyday life, and does get very big negative reactions (eg Uber surge pricing, etailers using cookies/past activity). Since the airline made it all about the money (for the same product), consumers did the same. It is noticeable for example how simple Southwest is in comparison. You book what amounts to two one way tickets, not the magic voodoo from the main carriers. And you just get that same product. Financial health shows yield management is working, but at the same time the customers are resentful and combative. It feels like the airlines are working against their customers, and the customers respond in kind. There is less of that feeling with Southwest, Virgin, Jetblue and their ilk. > Chris, assuming you flew AA, as an employee you do NOT have to pay to check up to 2 bags…but you have to do this with the agent, not at the machine. It’s in the trip book. That was the herd thing–the redcoats shooed me away from the ticket counter to the kiosk. Not very helpful. Paid $25 rather than make a scene. This is an excellent piece and YOU are becoming a good down to earth writer. I loved traveling when it was cheap and when I was single. I hated it when traveling with my kids, especially with a handicapped. Thankfully my wife and my daughter were complimentary when traveling. I am a bit of a computer geek and comments are related to the web site you are posting. I analyzed that your contents were in tables within tables and I copied the contents using Linux and it took five minutes for me to make it a text document. Microsoft is the culprit and not YOU. The worst part is the comment section with a black background.. I could not read any of the comments. Small fonts, red highlighting, many other distractions. I believe as a pilot you have very good vision and color discrimination. I use Google (free not a paid premier) blog and it has many applications including mobile compatibility. Many use android and mobile application when traveling. I hope you change the web domain. I am going to copy your article (without image -copyright law) post it at parafox for a wider audience. Hope you do not sue me or embark on litigation. I use LibreOffice for this comment and saved in words and cut and pated on your comment cage. Thanks, keep us informed please. Captain Chris, you have my extreme empathy. Driving from seat 0-A and riding 65+ rows behind the Green Curtain have nothing in common. Since a retired from a travel-heavy profession about five years ago, I have flown twice: once for a must-attend formal, paid for by others and the other for a personal fantasy return to Europe in my dime; one up front and one back. If there is a difference between the two services, I did not discover it. I remain firmly in (your) the camp of those who suggest that, “…if I cannot drive there, I probably do not need to be there…” It is more expensive per mile and takes much longer. You can fly 1000 km in a couple+ hours that may take partner and me three days. Partner plays with GPS, I read maps and we STOP, get out when we feel like it and typically excellent food, when we wish and where we wish. I have found a way to make the text readable. The browser plugging has an application to Zoom In and Out. I zoomed In, so that, I won’t miss a Baby Elephant. where a big gang is operating. please check and scrutinize all the credentials. But I believe they are smuggled out in the DEEP SEA. If you subscribe, I think the blog appears with white pages and black lettering. Thanks for the all too true pithy comments. Human civility is suspect in many human situations. The more crowded, the more potential for conflict. With load factors mid to high 80’s, crowding is common. About the TSA you encountered, I presume some were at DFW. Found TSA varies widely and sometimes TSA agents at some particular airports seem to have the same demeanor. Traveled to DFW on AA more often than other destinations from home airport. Found TSA at DFW professional, courteous and seldom heavily worked. Maybe I was lucky. I do usually wear dress shirt and sport coat when flying and keep my comments businesslike. My home airport TSA at LAX is sometimes abrupt, bored and seem irritated. Lines always long. But at least I got pre check free last several times. I made a comment yesterday that was awaiting moderation. I see that others have been posted in the meantime, suggesting that mine was not allowed for some reason. English is not my first language, so I can’t exclude an inadvertent faux pas in my writing, but I think I made good points and managed to stay polite in my (partial) disagreement with you. Was there any issue I’m not aware of? Maybe my comment was too long? Feel free to respond to my e-mail address, if you prefer. Oh, sorry. Got distracted by the comments. I used to fly every week for work. It is what it is. Cattle call. Tired people. Summer and holidays are the worst with families and inexperienced travelers juggling all sorts of awkward stuff. Travel light. Eat before you get to the airport ( Airport food lost attraction long ago) but always carry granola bar or something because there’s a good chance there will be a delay somewhere. Always travel SW if I can. Rather do a road trip any day if there’s time to do so. Road trip? Amen–I’ll drive any chance I get: relaxing, our own schedule, our stuff (we bring our Keurig! ), our choices. For me, air travel is the last resort. Thank you for a well-written blog. Perfectly stated, Captain! Unless one pays for first or business (if it’s offered), don’t expect anything special unless you plan to pay for it. In my mind, the only obligation an airline has is to get you from Point A to Point B safely and, hopefully, on time. Beyond that, nothing else is guaranteed. Taken against the total, our nation’s airlines generally do a fairly decent job of doing just that. Like bad cops, the press only chooses to highlight the infrequent burps. I think this is an insightful post but it’s not without its bias.As a veteran of the airline industry you understand the inner workings of that industry well As an infrequent flier I do not, going to an airport and doing everything that it takes to make it safely on board is odyssey from my perspective . In terms of what the profit margins are and logistics are as a paying customer its not my concern. I expect a reasonable level of service and some appreciation I chose airline A over airline B. And while I don’t demand a smile from an FA or pilot I do expect to be treated as a customer. In return I try and be polite and considerate. I have no clue wether or not it’s the start, middle, or end of your day; I don’t have a clue how crews are shifted. I expect to be treated fairly and not like a nuisance. I have my feet 40 000 ft off the ground; while it may be another day at the office for you and your crew I am trusting that the crew onboard is looking after us. Hello Chris – I have been enjoying your blog greatly as I happily date a long time commercial airline captain and can follow along with the stories and experiences. Truly, our funniest conversations about air travel are about the passengers rather than the staff, 10-1. You know, people crying and pounding on jetway doors of flights that they missed, drunks who argue with crew members, and then with NY police (I don’t recommend the latter), and one memorable fellow who, in the old days, got so upset about his delayed flight that he went behind the gate agents desk and knocked all of the plastic letters of of the board. All this and they expect some sort of post tantrum accommodation. I find that, “please” and “thank you” are far more effective.